恐れ入りますが、このホテルに関する詳細はまだ日本語に訳されていません。 For visitors to Washington, D.C.’s Georgetown neighborhood, high-end accommodations have long been provided by the usual suspects — namely, the Four Seasons, the Ritz-Carlton, and a few other reliable luxury brands. 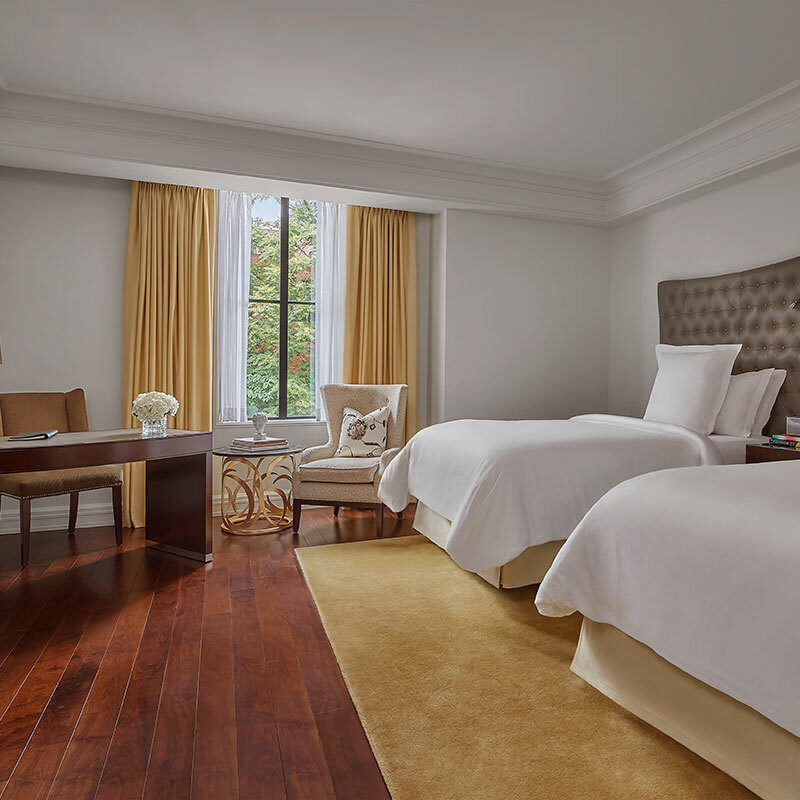 Rosewood Washington D.C., on the Chesapeake & Ohio Canal, offers boutique character, a smaller scale, and the same level of service. Imagine the clubby vibe of a century-old smoking lounge, shot through with postmodern razzle-dazzle at a size where the personal touch comes quite naturally. 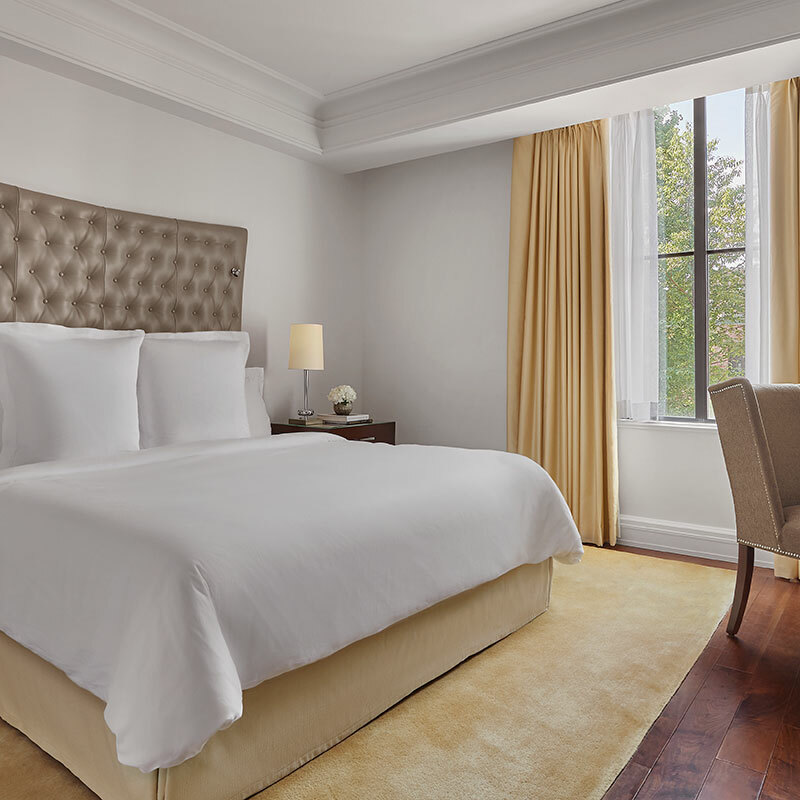 This 49-room hotel is housed in the former headquarters of the American Trial Lawyers Association, but the modest facade barely hints at the wonders of the interior. 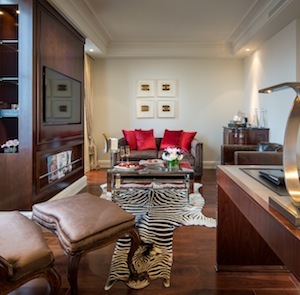 Everything gleams, from the reclaimed parquet floors to the marbled onyx of the fireplaces. 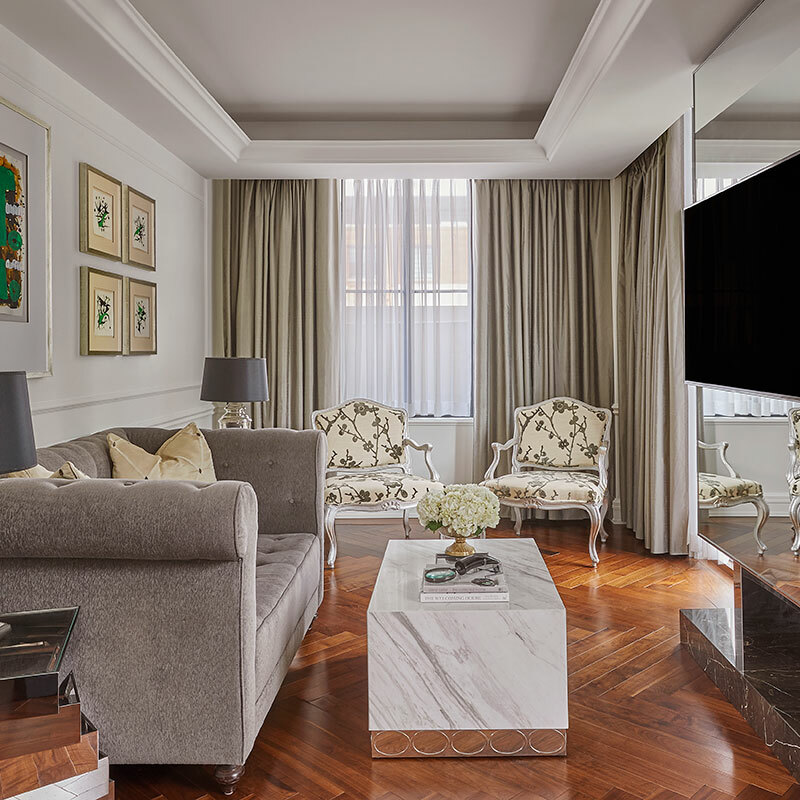 This isn’t some generic chain-hotel sheen — the décor is impeccably chosen, from the original modern art on the walls all the way down to the Hermès leather drawer pulls. 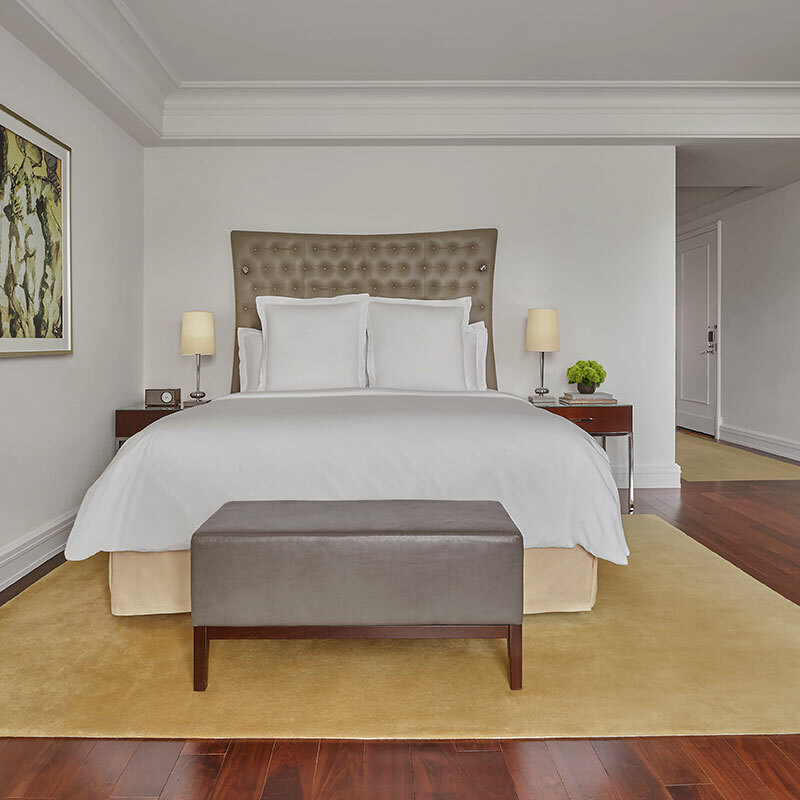 Standard guest rooms draw from the cheery urbanity of the canal-side district, while larger suites make a successful bid to feel like your very own luxury brownstone, complete with sumptuous furniture and dining areas to accommodate ravenous groups of Beltway insiders. 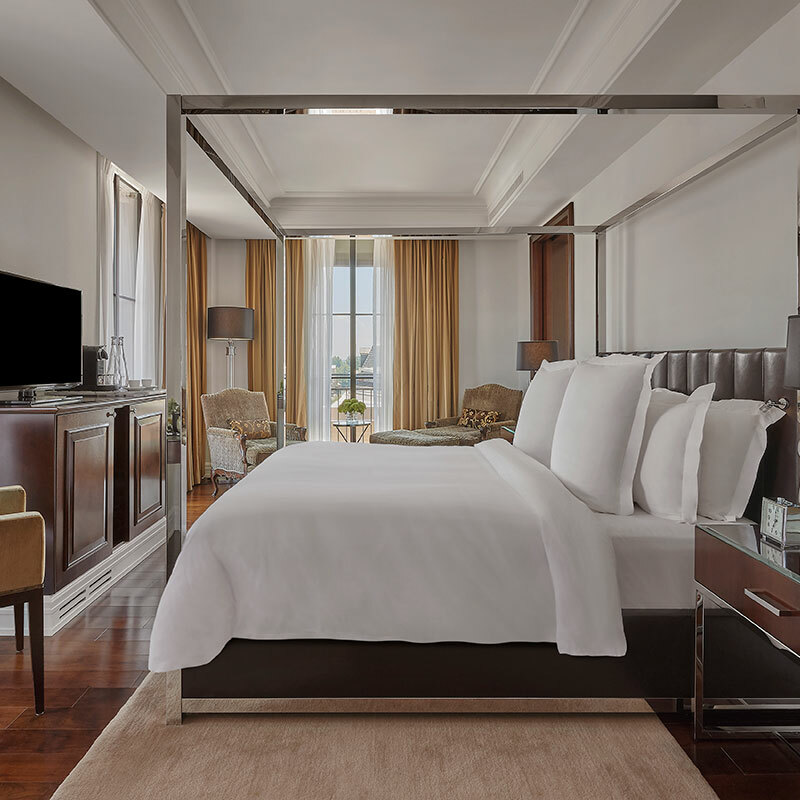 You might notice the lack of a front desk — butlers take care of every detail in advance, whisking you away to your room upon arrival. Even better, these assistants are at your command for the duration of your stay, so feel free to arrange a bit of after-hours shopping in the boutiques on nearby M Street. This kind of beck-and-call service defines the entire hotel, from the Rye Bar all the way up to the rooftop infinity pool. Rollaway beds are available for 50 USD per stay. Baby cribs are available free of charge. Valet Parking is available for 54 USD per night. Pet Policy – A 250 USD deposit is taken upon check-in for potential deep cleaning or damage. View of Canal or Georgetown and interior courtyard. View of historic Georgetown or C&O Canal. View of the historic C&O Canal or Georgetown.